Back in March of this year Jeremy Clarkson made headlines when he punched BBC Top Gear producer Oisin Tymon over food, or lack thereof. Who would have known that a handful of months later he would be signing a new massive deal with Amazon Prime with Tymon being the furthest thing from Clarkson’s mind. 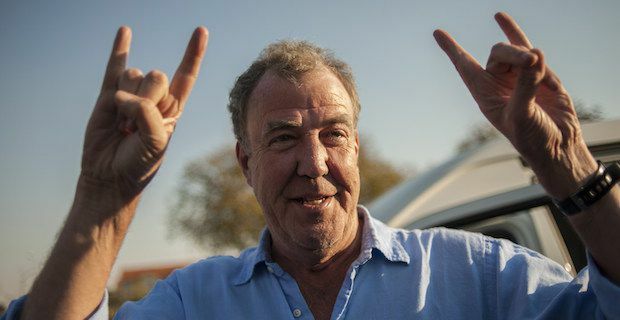 In July, Amazon founder Jeff Bezos signed on Clarkson, James May, Richard Hammond and Top Gear’s former executive producer Andy Wilman for a new motoring show that will be aired on Amazon Prime. The budget for the 3 season deal is said to be around £160 million giving each of the 36 episodes a £4.5 million budget. Clarkson alone will be getting paid around £10 million per year which is quite a jump from his previous income of £1 million at Top Gear. This will make him one of the highest paid UK television hosts. While the rest of the trio and Wilman won’t be making as much, they will hardly be complaining about their £7.2 million annual income. Amazon has said that this new show will give them as much creative freedom as they want which according to the group, is extremely important. With this large of a budget, the sky really is the limit. It should be exciting to see what Clarkson does with this new series. Bezos has said that he knew that it would be, “...very, very, very expensive….They’re worth a lot and they know it.” This Fall Amazon Prime Customers across the UK, US and Germany will have to tune in and see if the trio really were worth it.